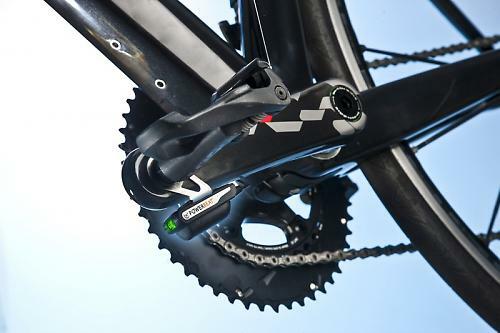 US company Watteam have unveiled a new powermeter called PowerBeat that fixes to any crank arm and costs as little as US$499 (about £300). It’ll go on sale next spring. PowerBeat measures the power from each leg separately, it sends data to a head unit via ANT+ and Bluetooth Smart, and Watteam say that it weighs just 48g (you add two devices weighing 24g each). “Watteam PowerBeat uses the most advanced strain gauge technology, along with an optimized processor, accelerators and gyros to accurately detect your power output,” say Watteam. “Built from rods and springs, our worldwide patented sensor attaches easily to both of your crank arms. It senses your pedal stroke up to the millisecond, recording the direct and immediate torque that you apply. “Our sensor then feeds the data to our patented algorithm, located inside the comp unit, where it is translated into accurate power data. One of the most attractive features of PowerBeat seems to be that it is an add-on that can be attached to any bike without the need to remove existing equipment. With Garmin’s pedal-based Vector system, for example, you need to use Garmin's pedals. With Stages you need to take off your existing left crank arm and replace it with a new crank arm that has the Stages system pre-installed. Currently, Stages can’t offer carbon-fibre cranks whereas PowerBeat can be installed on both aluminium and carbon-fibre, according to Watteam. In terms of weight, the Stages crank-based system is lighter, adding just 20g to your bike, but PowerBeat is lighter than a Garmin Vector setup. PowerBeat provides direct force measurements for each leg separately providing you with the basis for correcting imbalances in your pedal stroke. Garmin Vector also provides this, but Stages and PowerTap do not. 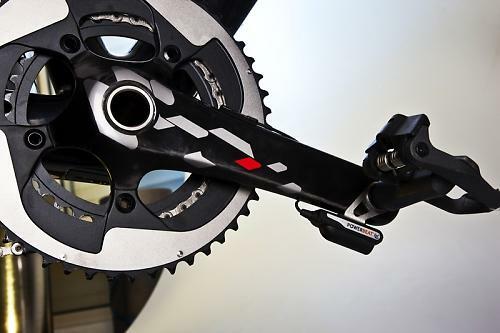 With a comp unit, a sensor and a cable running between them on each crank, PowerBeat doesn’t look the tidiest powermeter on the market, but as long as the data provided is good, the cost is going to attract people. Watteam, a California-based company whose R&D department is located in Israel, reckon that PowerBeat is “on par with the market’s top power meter brands in terms of accuracy and consistency” with a built-in temperature compensation mechanism. They don’t put a figure on that level of accuracy. Installation and calibration are said to be simple with YouTube videos to help you get everything right. PowerBeam uses a 3.6 volt battery that, Watteam say, will provide 360 hours of life. When the battery runs out of juice, you just pop in a new one. 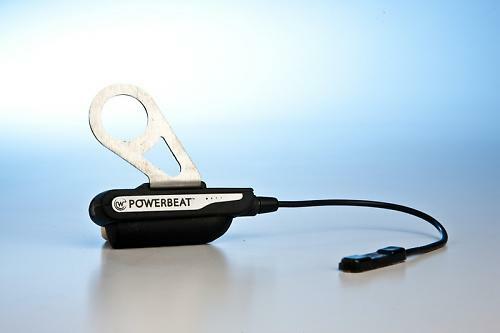 PowerBeat is targeted for commercial launch in spring 2015.